Published on 8 April 2019,	by admin in Blog. This changes slightly each year. The payment reference will always start with the company’s UTR number, followed by AXXXXXA and this reference changes for each corporation tax return that is filed. As long as you haven’t made any changes to the date of your accounting period, this will increase by one each time. You should only have to use the accounts office reference number (this is the format of 3 numbers, 2 letters and then 8 numbers. Some banks or payment types require an additional reference. This is based on the PAYE tax year and the PAYE month (so is an additional 4 digits). 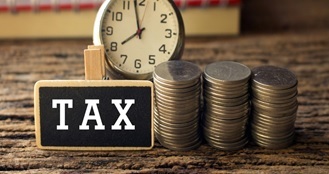 The PAYE tax year runs from 6 April until the following 5 April (or April to March in general terms). The reference year is the 2 digits relating to the end date. So, for example, the tax year 6 April 2019 until 5 April 2020 has the reference 20. The PAYE month’s follow the same format – so April is month 01 and March is month 12. So, a payment for March 2020 will have the 4-digit additional reference 2012. As ever, if you are unsure which payment reference to use, please check with your usual contact. Comments Off on References for Paying Taxes.